Michael is the newest member of the management team at ATK. As managing partner he handles oversight of services, special events and operations. Michael comes to ATK with a wealth of production and manufacturing experience of over 30 years. He has held executive posts at Harman, JBL and Yamaha and his production credits include, the Grammy Awards, Olympic Opening and closing ceremonies, Asian Games ceremonies, Republican National Convention and many more. 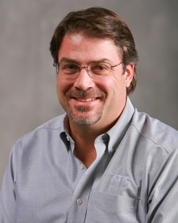 Vice President of Engineering at ATK Audiotek since 1989, Scott actually began his tenure in 1984. 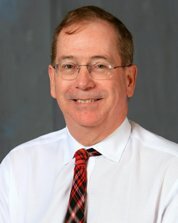 He studied electrical engineering at the University of Minnesota, is a member of the Audio Engineering Society and has received three Emmy certificates for contributions to winning awards. As CTO, Scott is ATK Audiotek’s technology strategist analyzing available technology for relevancy and development into our business process. As VP of Engineering, he is responsible for all proprietary engineering designs. In addition, Scott designs or oversees the design for all ATK Audiotek shows as well as acting as systems engineer for many shows such as the Super Bowl, the Grammy’s and the Academy Awards. A graduate of San Diego State University with a degree in Theater, emphasizing in Television and film, Mike has worked in the entertainment industry since 1978. Coming to ATK Audiotek in 1987 he has developed the TV broadcast division into the country’s leader. 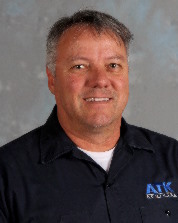 Spending up to 25% of the year in the field, mixing and coordinating, Mike has been able to continue developing new concepts and applications improving ATK Audiotek’s service, while at the same time giving a personal one on one contact with our clients. 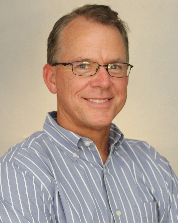 Bill has extensive experience in the film and television production business having served as COO and CFO for RTL Group, Pearson Television N.A. and ACI, Inc. His prior experience was in television broadcasting where he was CFO for the Fox Television Station Group and Director of Planning and Administration for the CBS owned and operated station, WBBM-TV, Chicago. Bill has an MBA and an MA from the Wharton School of the University of Pennsylvania. Ursula started with ATK Audiotek in 1988 to begin the development and organization of the accounting department in the infancy of the company. 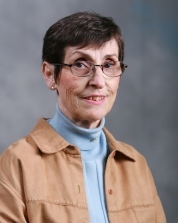 Her original accounting and office experience in the US started in 1979 in landscape architecture and Lumber City. Ursula had training, schooling and apprenticeships in business in Germany before coming to the United States. She has a very strict sense of loyalty toward ATK Audiotek and has always been an asset. 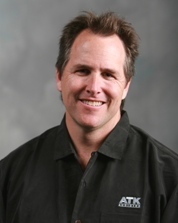 Brett has been with ATK Audiotek since 1994. Brett coordinates the equipment flow from the shop to the show and back to the shop. He also manages many of ATK Audiotek’s long term and installed shows. Brett works with the sales staff and design team to maximize the use of ATK Audiotek’s large inventory. The knowledge he has obtained from working on many shows has helped Brett in making quick decisions on solving many of the issues that come up on a daily basis.